Rasayana is considered as the culmination of knowledge and practice of ayurvedic medicine. To know more about this subject, clic on the link : Know more about Rasayana. Chyavanaprasam or Chyawanprash is considered as the rasayana NUMBER 1 in ayurvÃ©dic medicine. It is consumed every day by millions of people in India, children, youngs and less youngs, since thousands of years. According to Charaka Samhita, the reference book of Ayurveda, chyawanprash is especially good for alleviating cough and asthma. 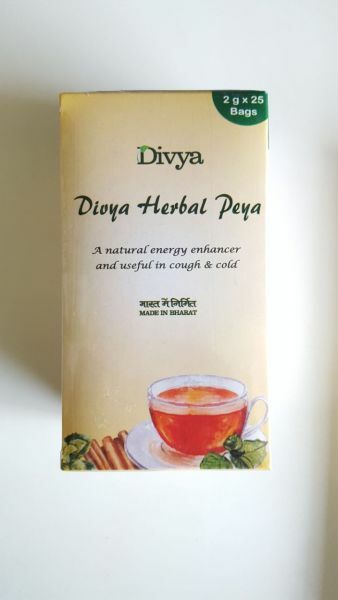 It is reputed for improving metabolism and immune system. And what's more chyawanprash has a calming effect on nervous system and stress and improves concentration and memorization. 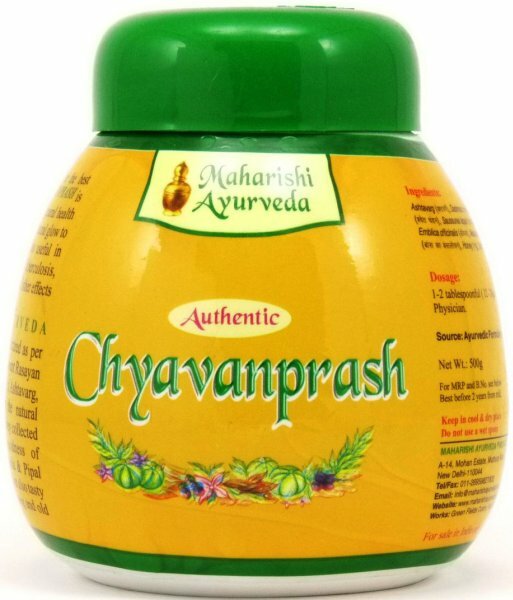 Chyawanprash looks like a marmelade that you can use like jam, on a slice of bread or eat directly from the spoon (which i prefer personally). 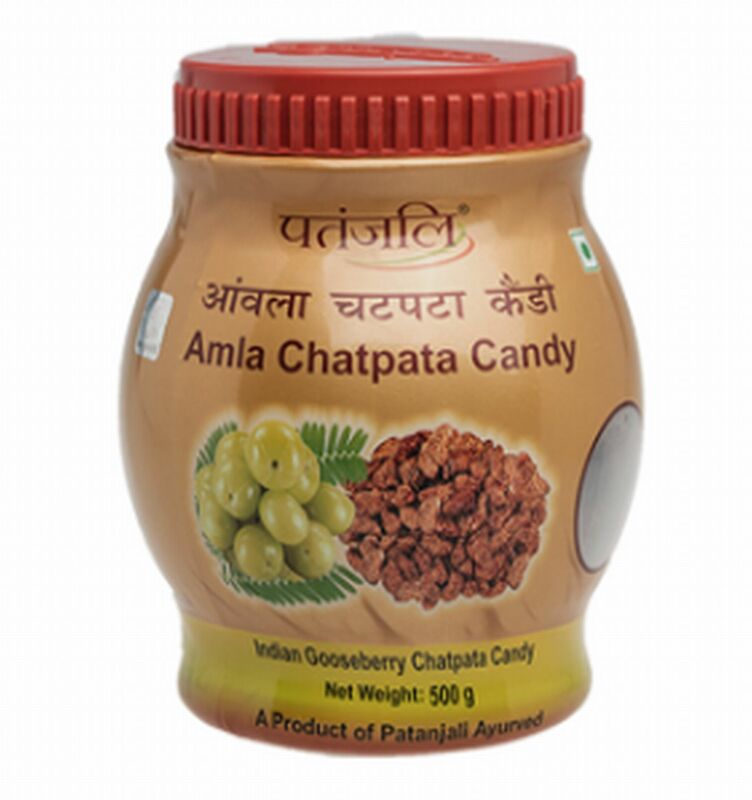 It is mainly composed by the most rich in vitamin C fruit : Amla or Amalaki (Emblica officinalis) which contains 20 times the amount of vitamin C found in one orange, to which it is added a certain number of spices and herbs and also honey, full sugar cane juice (jaggery) and clarified nutter (ghee) in a small amount. The vitamin C contained in Amla has a special composition and even after cooking it remains in the fruit. The vitamin C is well-known to be a powerfull natural antioxidant agent which delays the effect of ageing process and chyawanprash contains a particular form of vitamin C which is very effective. Deeply recommended for the children and the old persons. Its regular consumption will protect you from the diseases of the respiratory system (cough, asthma, bronchite, etc.) and will re-inforce your organism in its globality by balancing the 3 doshas. To know more about doshas clic on the link : Know more about Ayurveda. Absolutely safe up to 5g/kg of body weight so take as much as you like. In cas of normal use by an adult, one jar of 500 grs will last around one month. The herbs used for the confection of this chyawanprash are coming only from cultivation without any chemicals and from harvest of wild plants in their natural habitat.